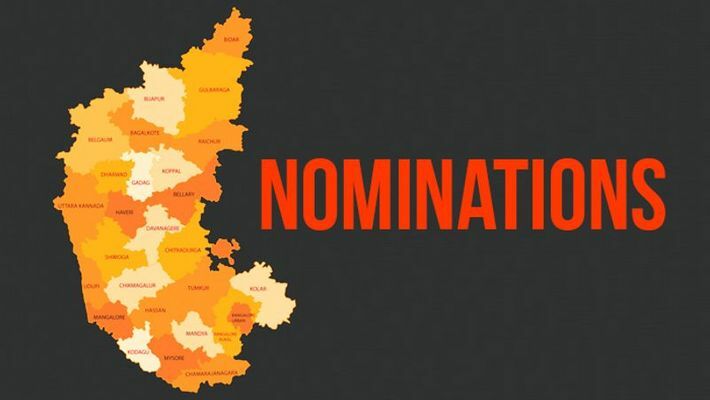 Bengaluru: The notification for the Lok Sabha elections to be held in the first phase in Karnataka will be out on Tuesday (March 19) giving way for filing of the nominations by candidates. The first phase of elections in Karnataka is on April 18. Polling will be held in 14 constituencies. The rest of the 14 constituencies will vote on April 23. In the first phase, elections will be held in Udupi-Chikkamagaluru, Hassan, Dakshina Kannada, Chitradurga, Tumakuru, Mandya, Mysuru, Chamarajanagar, Bengaluru Rural, Bengaluru North, Bengaluru Central, Bengaluru South, Chikkaballapur and Kolar. For the first phase of elections, the notification will be out on March 19 and the last day to file the nominations is March 26. The nominations will be reviewed by March 27 and March 29 is the last date to withdraw nominations. The second phase of elections in Karnataka sees Chikkodi, Bagalkot, Vijayapura, Kalaburagi, Raichur, Belagavi, Bidar, Koppal, Ballari, Haveri, Dharwad, Uttara Kannada, Davanagere and Shivamogga voting. The notification for these constituencies will be out on March 28 and the candidates can start filing their nominations on the same day. The last date to file nominations is April 4 and the same will be reviewed by April 5. The last date to withdraw nominations is April 8. Meanwhile, the BJP is fielding its candidates in all of the 28 constituencies in Karnataka. Recently, the BJP state president BS Yeddyurappa announced that the candidates for all constituencies have been shortlisted and will be announced soon. The Congress and JD(S) have an alliance and are sharing the seats. Accordingly, the Congress will field 20 candidates and the JD(S) eight. Out of this, the JD(S) has almost confirmed the candidature of Prajwal Revanna (Hassan), Nihkil Kumaraswamy (Mandya) and Madhu Bangarappa for Shivamogga. The Congress has mostly given tickets to sitting MPs and will announce the final list soon. For the Tumakuru seat, there are still talks going on as the Congress has a sitting MP. But the seat has been given to the JD(S). Lok Sabha poll results will be out on May 23. Sympathy vote: 8 Karnataka women registered massive wins; good news for Sumalatha, Tejaswini?